Come join @Devouringjax on July 12th at 4 Rivers Baymeadows for Devour Hour! 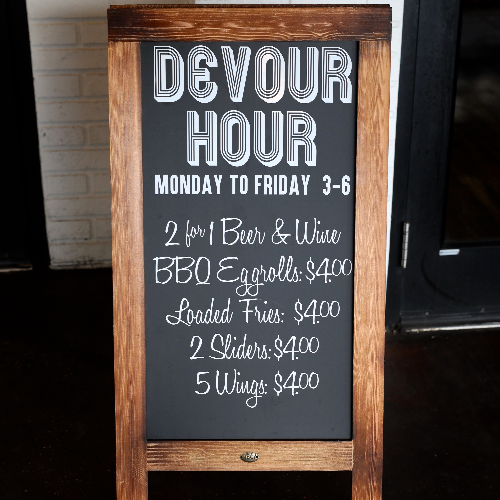 Devour Hour is a brand new Happy Hour from 3-6pm, but we will be doing a special Devour Hour from 630-730pm. - and a secret dessert!